CLICK HERE TO WATCH WHY SELLERS USE US! SEE WHAT SELLERS SOLD & $AVED! Welcome to ASSIST 2 SELL BUYERS & SELLERS REALTY, your source for LEHIGH VALLEY Real Estate. In today's competitive real estate market, timing is everything. Many good homes are sold before they are ever advertised. 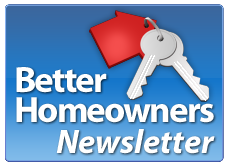 Beat other homebuyers to the hottest new homes for sale in LEHIGH VALLEY with my New Listings Notification.